The book can be ordered in hard copy from AuthorHouse.com for a price. Get ready for an adventure in the deep, dark jungle of American English! In that jungle lurk some mighty strange creatures, gerunds and adverbs and nouns, oh my! 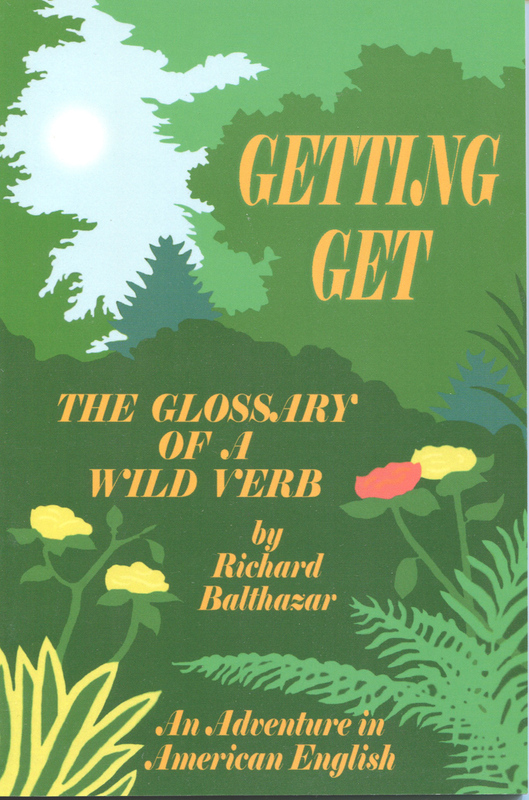 But few of these wild things, if any, are as remarkable as the wild verb ‘get.’ In American speech this tiny three-letter word is the magic key to another language with an unconscious, internalized grammar. The verb ‘Get’ is used as a colloquial code expressing an awesome range of actions, attitudes, emotions, intentions, and implications. Now come along on a most unusual safari into the wilderness and hear how Americans actually talk in casual situations. (Though English teachers used to forbid it, over recent decades, ‘get’ has also snuck deeply into formal or polite speech for things like public speaking and business.) You’ll marvel at the agility and expressiveness of ‘get’ and start noticing how everybody uses it all the time without giving it a thought. And believe you me, it really does take a whole book to define this itty-bitty dynamo of a word. Be sure and wear sensible shoes because it’s going to be quite a hike! Keep a sharp eye out for treacherous ambiguities and that beastly old context! And try to keep up and stay on the trail because it’s really easy to get lost. GETTING GET organizes the 500 (or so) phrases with ‘get’ and as many meanings under 33 prime constructions, a complex grammar which we native speakers internalize in our earliest language learning. On the other hand, those who come to (American) English as a second language are often confounded by our constant use of the verb, which isn’t taught in most, if any, English classes. This book should get that job done and meanwhile entertain native speakers with stuff they already know.